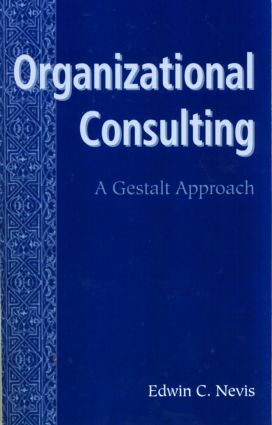 In this classic text, pioneering organizational consultant Edwin C. Nevis presents an approach to organizational consulting which is grounded in Gestalt theory. Nevis brings his well-known insight, conceptual clarity and decades of experience to bear on the entire spectrum of concerns facing organizational consultants in a wide variety of settings. Beginning with the development of the Gestalt approach and the "Cycle of Experience" model, Nevis traces the implications of Gestalt theory for such areas as organizational assessment, modes of influence in organizations, dealing with resistance, developing relationships, working at the boundary and the matter of the consultant's presence. The conceptual framework provided in this groundbreaking work gives organizational consultants a powerful tool for understanding and influencing the behavior of organizations, and at the same time invites them to actively partake in the ongoing development of their unique individual styles.